BPTP has started sending possession letter to the villa owners demading the money which was not envisaged earlier. Ther are demading charges for STP & Electrification, charges for registration and maintainanace charges. Ther are silent on the following issues. 1. They are not showing us the OC or giving any thing on writing? 2. There is no justification for STP & Electicity charges? 3. Without physical possession why ther are demaning maintainanace? 4. No clear cut dtae for physical possession. Can some one suggest to whome to approach for a remedy? What is legal course one has ? If we don't pay they will charge interest. First step is to send protest letters by way of registered/speed posts and through e-mails. Let me wish all of you and family members a Happy, Safe and Colourful HOLI. With immense pleasure It is brought to the knowledge of all that HON'BLE HIGH COURT in Chandigarh has ordered a Stay on the POLICY of Enhanced EDC on 19.03.2013 in a Writ Petition NO CWP 5835 of 2013. The next date of hearing in this case is scheduled on 10.04.2013. The copy of the order will be attached by later or can contact me. I will be preparing the letters which could be sent to the concerned colonizers for the buyers who have already paid the amount and even got the registry done , in consultations, with a lawyer and will share in a later stage. This is for the information for all and doing the needful. Great News and Great Job done!!! This is definitely a great news .I just want to thank all the GFWA members who have been continuously following on this . Please share the format of the letter which needed to be sent to builders for increased EDC which we have already paid . 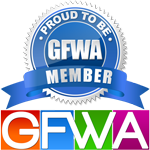 This is definitely a big step thanks to the perseverance and dedication of fellow GFWA members. We must have the copy of the 'Stay Order' to see how we can further pressurize the builder & frustrate his evil designs. Umeshji as always have been one of our star performer of GFWA, Umesh and Dheeraj had traveled to Chandigarh for this hearing and were joined by two members (Vikas Gupta and Rakeshji ) from Chandigarh, Our legal team continues to work in backend and do regular followups with lawyer, The team is headed by Sushilji and supported by Dheeraj, Umeshji, Aashish, Rajanji & Ajay , and on need basis via several members from working committee and of-course several of you. Pls keep posted on further developments..
Good news. Thnaks all the team member for their great effort. is this about the EDC which was charged by builder around 6 month back to bring it upto Rs 312 sq feet..pls confirm.. This is really great news, I will also send letter to RPS Group (Once I get the format in Forum or Email) for refunding Enhanced EDC amount that I had already paid to them. But is it okay to send it through Email or post is necessary? Hearing great news after a looong wait gives us releaf. Please note that this is only a stay order for EEDC collection till the next hearing. This is not an order for the refund of EEDC. This is to stop builders from demanding or threatening EEDC dues. I would suggest to wait till we have more clarity from the next hearing. Administration Active Before/After High Court Hearing?